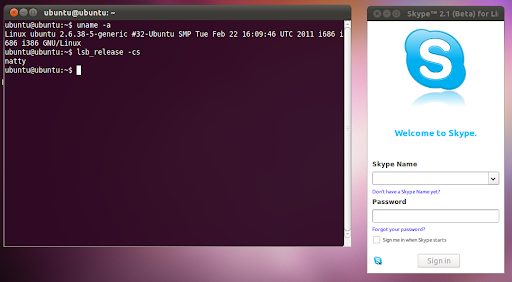 Starting with Ubuntu 10.04, Skype is available to install in Ubuntu via the official Ubuntu partner repository. However, this repository is not available if you upgrade to a new Ubuntu version that's still in alpha/beta/rc. That means that if you upgrade to Ubuntu 11.04 before the final version is released, you won't be able to install Skype from the Ubuntu 11.04 Partner repository. To install Skype in Ubuntu 11.04 already (currently Alpha 3), you can download the Skype .deb from the Skype website, but it's better to install Skype from the Ubuntu 10.10 Partner repository because it includes some Ubuntu-specific fixes that aren't available in the official Skype .deb.